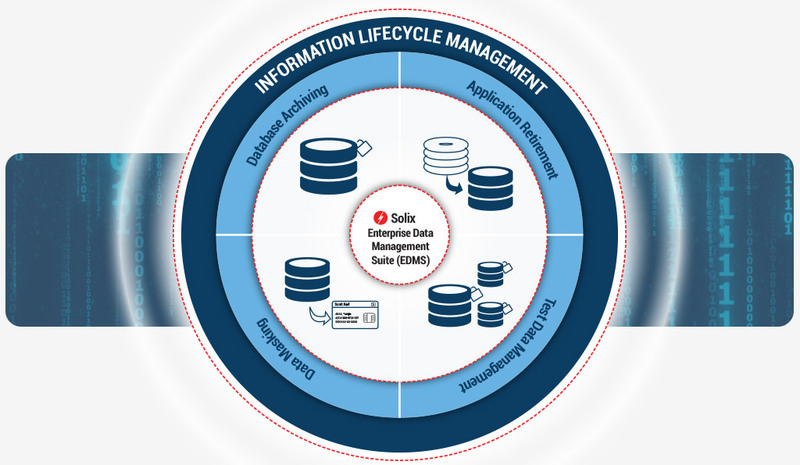 The Solix Enterprise Data Management Suite (Solix EDMS) brings together all the tools for an effective Information Lifecycle Management (ILM) program. From a single web-based console, the platform offers industry-leading database archiving, test data management, data masking, and application retirement solutions. Solix EDMS is designed to control costs, boost application performance and availability, and meet compliance objectives. It offers universal access to all archived data for business users through full-text search, structured SQL queries, forms & reports. Solix EDMS helps you quickly identify infrequently accessed historic data from your production applications, and ‘move’ it to a secure archive with data integrity and access preserved. It greatly helps optimize infrastructure, improve application performance, reduce software license and storage costs. It also helps improve regulatory compliance through e-discovery and policy-based long-term retention of data. Retention management holds the archived data for a given period of time, and purges the data automatically, or manually when the data retention policy meets its criteria. The policy-based retention helps organizations comply with the complex regulations governing data retention and minimize risks of accidental data deletion from archive. Solix EDMS provides business users with role-based access to archived and retired application data. Users can quickly search for data using Forms and Queries, build reports and export them as needed. Additionally, the Solix View Builder helps create application context preserving ‘business views’ of data migrated from retired/decommissioned applications. Ensure data security and compliance by masking sensitive data in test/non-production databases using prepackaged or custom built masking algorithms. This feature preserves the data format and maintains referential integrity while securing sensitive data from unauthorized exposure. 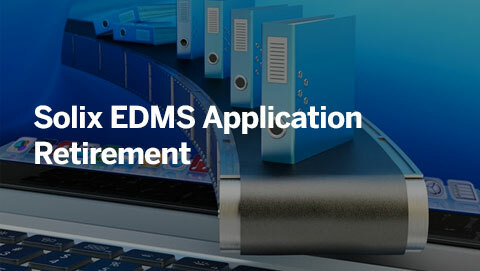 Solix EDMS supports and provides pre-populated and customizable metadata knowledge bases for many popular ERP applications including Oracle Apps, SAP, Peoplesoft, JDEdwards, Siebel and Baan. It also supports custom applications built on popular RDBMS such as Oracle SQL, MySQL, MSSQL, Sybase, DB2. Solix helps infrastructure and operations leaders implement the right policies, processes, and technology for application decommissioning and data retention. It ensures continued access to retired data while delivering significant cost savings and improved compliance, data security, and governance. Compliance and legal professionals can quickly identify and retrieve records to meet data requests from regulatory bodies and law enforcement. Further, they can place legal holds on records of interest to ensure such data is retained beyond the pre-defined data retention periods to comply with legal proceedings. Quickly identifies otherwise difficult to find PII, PCI, PHI and other sensitive data across the heterogeneous data sources and secure it using the format-preserving data masking. 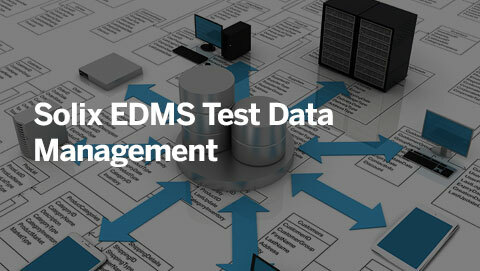 This enables rapid sharing of production data that meets the compliance and data privacy regulations. 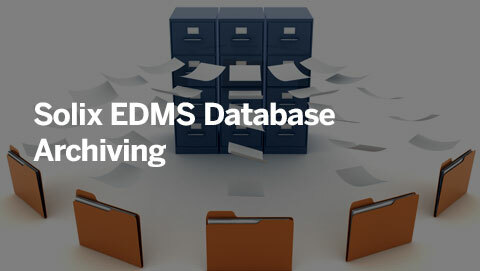 Solix EDMS automates database cloning and subsetting for the creation of databases for testing, development, QA, and other non-production application requirements. It helps accelerate the development cycles while freeing up valuable time of IT staff. Solix EDMS provides comprehensive administrative capabilities including access controls, status monitor, scheduler, data validations, retention policy management, data purge from source, patch synchronizer, full audit trail, and notifications.